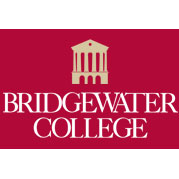 A business expo designed to help connect Bridgewater College students with local businesses and residents will be held Sept. 3 from 3-6 p.m. at the Funkhouser Center on the college campus. The event, which is sponsored by the BC student chapter of the Collegiate Entrepreneurs Organization (CEO) and the Greater Ashby Business Council of the Harrisonburg-Rockingham Chamber of Commerce, is free and open to the public. Each business at the expo will have tables set up for displaying information about its products or services. Students and residents who attend will be able to browse the tables, meet owners and managers and learn about products and services. Many of the participating businesses will have giveaways and door prize drawings. Additionally, the expo will feature door prizes for the event as a whole. CEO is the premier student entrepreneurship network with chapters on college and university campuses throughout North America and beyond. Its mission is to inform, support and inspire college students to be entrepreneurial and seek opportunities through enterprise creation.